A couple weeks ago, Blizzard announced a change about something I had previously dedicated an entire blog post to: the gold cost of changing specs in Legion. You can read their full post here but the gist of Watcher’s post was that players already considered changing specs to be a significant shift, rendering the gold cost intended to add weight to the decision to switch specs rather redundant. The gold cost would be removed. While this argument was different from what I had written, I am still extremely happy that Blizzard reached this decision. Despite what some naysayers would think, Blizzard is listening to feedback! The second part of the post was less universally loved. Watcher went on to talk about how instead of a spec changing barrier, there would instead be a talent changing barrier. Details were a bit vague but the general idea was that you could only change talents while in a safe area (somewhere where you are in the rested state) or near a scribe-created tome that allows player to re-talent. I, for one, am 100% behind these changes. Firstly, this change will help make Inscription an actually valuable profession again. Retalenting Tomes would be a necessity for any group content and demand for both the Tomes themselves and the scribes who make them would remain constant over the course of the expansion. Scribes would have a reliable and constant cash flow. Professions (or at the very least, this one) would matter again. After the cluster duck that was Warlord’s professions, this would be a nice change of pace. More importantly, this change actually allows for more options. When you think about it, the actual mechanic of changing talents won’t change. The name and source of the tome is changing but it is still, in essence, a consumable item that allows you to change your talents. The gold cost of said tome may increase, this is yet to be seen, but in the base functionality, it is identical. However, the talent changing mechanic gets a lot more interesting in two ways. 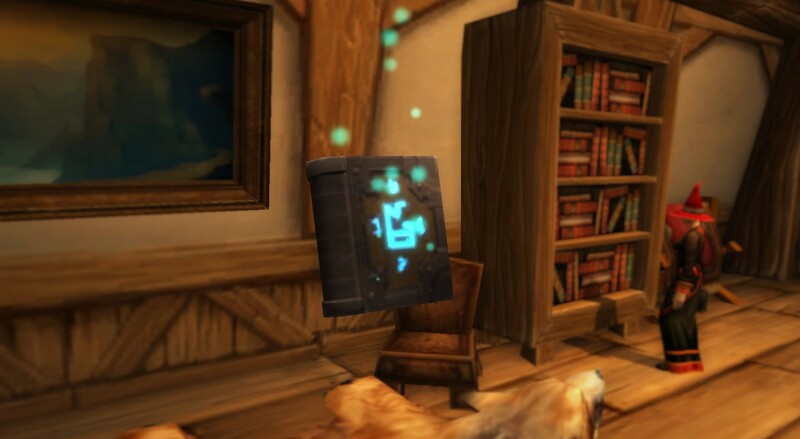 For one, instead of being a personal item that changes talents, the new scribe-made tome would allow all nearby players to swap as many talents as they please for an amount of time. Personally, I love this change. In a group environment (where I personally would be using this the most), this means that before a boss pull, you just have to drop one more additional item. Buffs, feasts, and now, tome. In a sense, this is actually easier than individuals carrying around Tomes of the Clear Mind. If one person has a tome then everyone benefits. And for players who might not be as good about remembering to swap their talents for a specific boss fight (not that this would ever be me, nope! ), the tome could serve as a reminder to do so. The second way this talent changing mechanic gets more interesting is that it now has a time cost as an alternative option to the gold cost. You could drop some change on scribe tomes, or you could make your way to the nearest rested spot. So for those just leveling out in the world or swapping talents in the capital cities, well they’ve just saved a good amount of gold. As someone who is chronically poor in WoW, I am always a fan of adding time costs as another method of doing something. But I know there are people who have all the gold in the world and not enough time, so by having both options Blizzard can tailor to both types of players. I really think Blizzard has nailed it with these proposed changes. I was already ecstatic about the removal of the spec change tax and the talent swapping change is just icing on the cake. Swapping one consumable tome for another, when the new tome can be used by more than just one person, and gaining a time cost alternative? They’ve won me over! In case you haven’t already noticed this yourself, I’ve been a little absent these past two weeks. No, I’m not embracing my crime-fighting alter ego, I’ve just been swamped with end of the school year related work. Sadly this has meant I’ve had to take a step back from blogging, commenting, and playing the game in general. Not fun! Luckily, I’m taking my final tests this week which means the end is in sight! 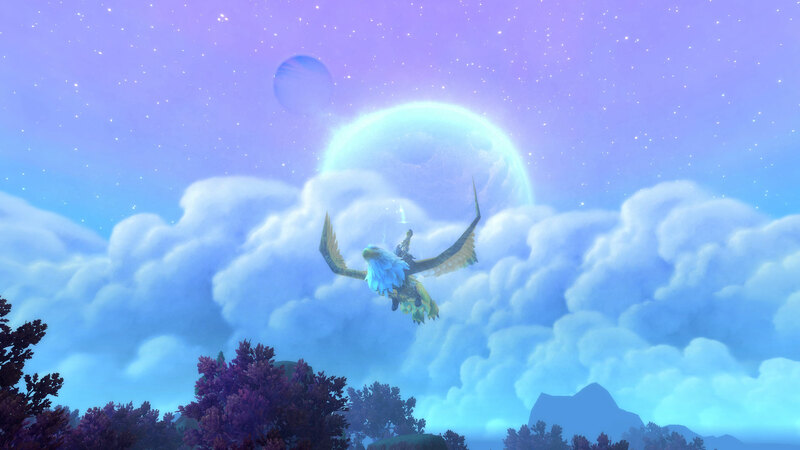 By the beginning of next week, Growing Up In Azeroth will be back in action. Thank you everyone for being so patient. See you in a bit! It’s time for another installment of Unpopular Opinions with your host, Fussypants! Today, we tackle an exceedingly controversial issue and manage to agree with absolutely no one else! You guessed it, we’re talking about LEGACY SERVERS! First of all, I believe the current iteration, of private servers run by random interwebs programmers, is deplorable. To take someone elses work, make a few tweaks, and start handing it out for free (or even worse, charging for it) it just plain terrible. It’s theft, it’s infringement, and its just plain wrong. And I’m sorry, no amount of ‘large and vibrant community’ is going to make me think otherwise. Because you know what else can have a large and vibrant community? Black markets. Cartels. Gangs. While their crimes are not nearly as severe, I still consider those who create and those who populate legacy servers to be no better than criminals. Wrong is wrong, no ifs, ands, or buts. However, there seems to be a lot of talk about Blizzard hosting their own legacy servers, which would be an entirely different ballpark. No longer is there an ethical question about the servers, it would be run by those who created the game in the first place. However, even without the criminal element, I still dislike legacy servers as a concept. The world is a constantly changing place. Ideas are born, technology is invented, countries rise and fall, and times change. I can’t think of a single institution that has remained constant throughout history. But change also can mean growth whereas stagnation always leads to decay. Everything evolves. Change is such a big part of our lives and naturally, is a part of our entertainment. Even video games like Warcraft must change to continue to compete. 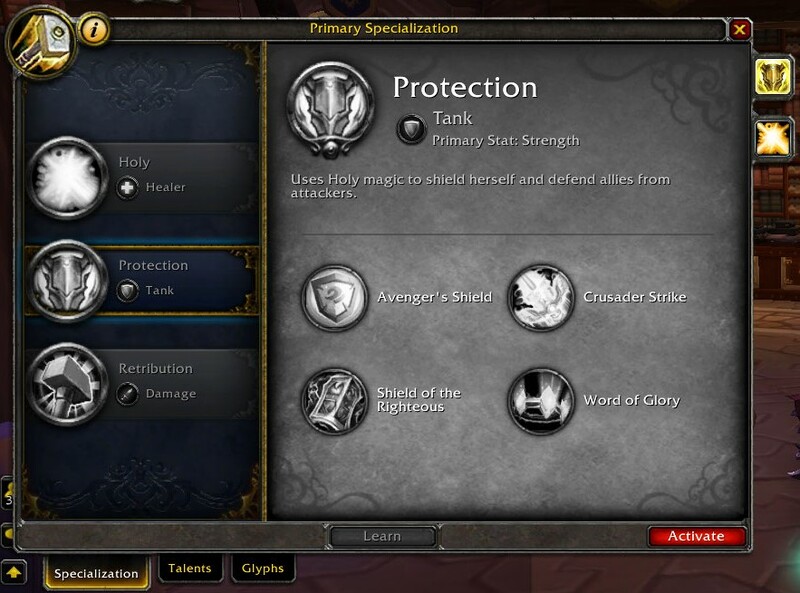 Just about everything aside from the very basic controls have changed in Warcraft- the endgame, the class mechanics, the grouping mechanisms, everything. Heck, every couple of weeks, we have hotfixes to change something else. Warcraft is a living entity and thus it continually evolves. And in a game like Warcraft, change is not only a part to the whole, it’s a vital part. In order to maintain it’s playerbase, new content and quality of life changes must be constantly added. If they were not, the game would stagnate and people would slowly get bored and leave. We see the effect of stagnation already- every expansion doldrums the subscriber numbers dip as many people take a break. Warcraft needs change. So I just cannot fathom why people would want to go back and play in a static, stagnate, outdated iteration of the game. Why would you want to purposefully return to a version of the game that will never improve, never progress, never evolve? It’s like saying ‘oh, I want to go back to the rotary phone because those were the good ole days!’. It just isn’t logical. I believe we are blinded by our rose-tinted glasses. 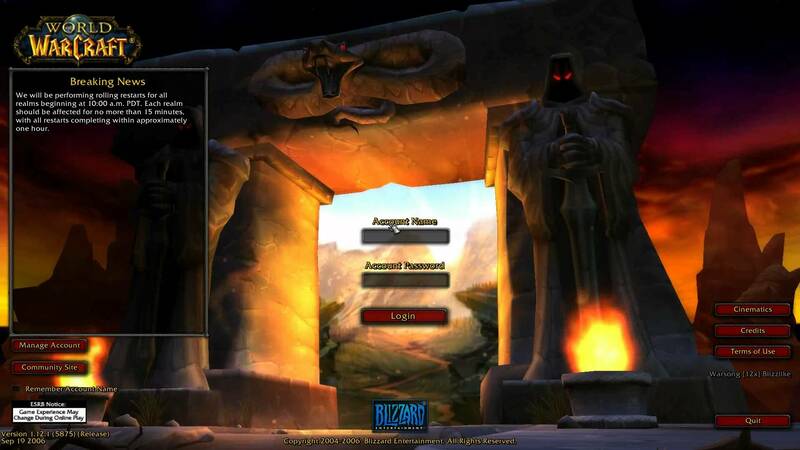 We remember those old expansions not for how they were but rather for who we played with. We don’t remember all the annoying grindy parts, we just remember the sense of wonder in exploring the world. We look back fondly onto the people we used to know. Like a friend of mine astutely put it, you might miss your high school years, but do you really want to go back to that building? Or do you want to go back and meet all the people again? And generally, the people are the pull. Would it be fun to poke around in a vanilla version of the game? Probably, but only for a little while. Eventually, you are bound to get bored of something that never changes. It’s human nature. There’s only so long you can listen to that one song before you get sick of it. Even if it did used to be your favorite song. Legacy servers, in my opinion, are simply not worth the coding they are made of. With change being such an essential part of life, purposely going backwards and then stagnating there is counter productive. And I know I’m not alone on this, if this would mean that Blizzard’s limited resources would then get split between developing new content and maintaining the ancient, I would be rather peeved. Some whiner complaining about legacy servers so much, got their way, and are now slowing down the progress of my game? No way! Warcraft should be moving forwards, not backwards! Living in the past accomplishes nothing. The only possible way towards the future is through continual adaption and change.